Where to ride in Marco island???? Good question, there are no ride areas there due to wildlife and bathing area restrictions. You need to walk near to and launch in the area shown to the northwest. 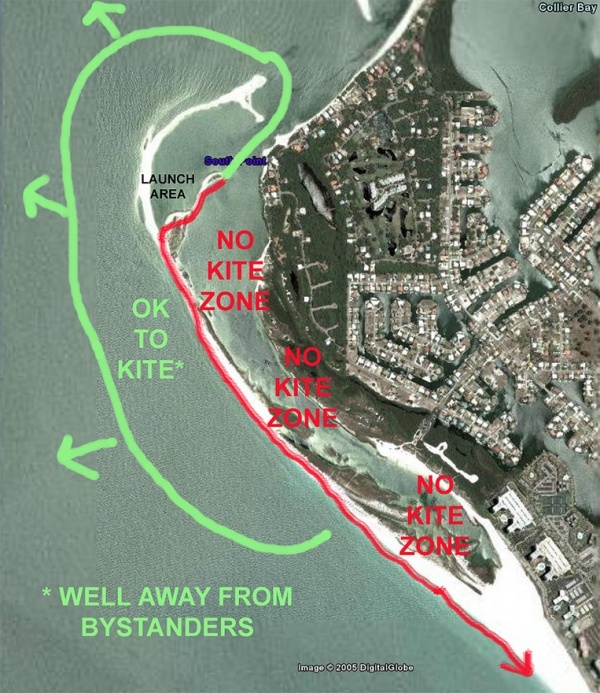 In the past kiters have caused themselves unnecessary problems here through poor riding behaviors.